Ay illuminate is based in the Netherlands with production spread out over several countries over the world. 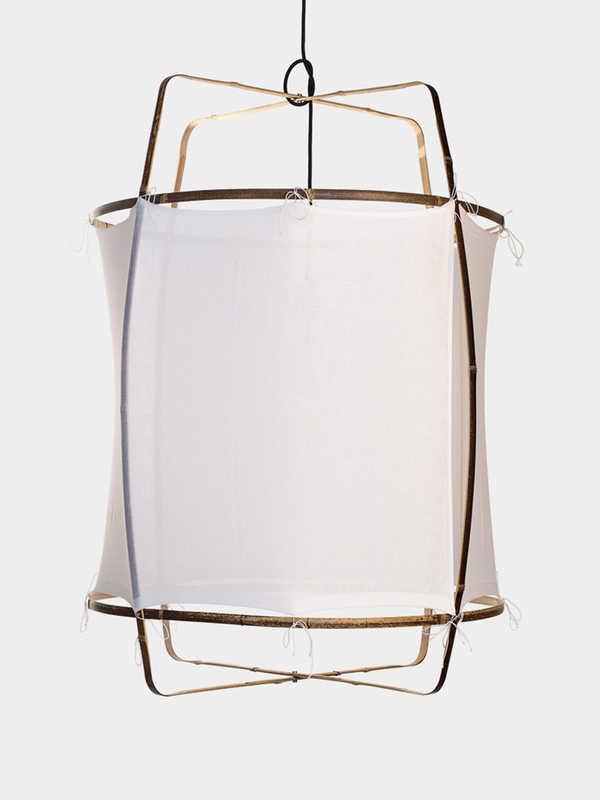 The designers of Ay illuminate are inspired by both nature and different cultures. 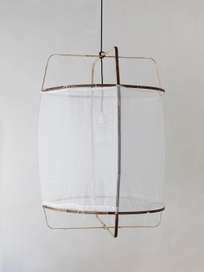 This is reflected in their use of organic shapes and natural (waste) materials combined with local handicraft expertise. To gather inspiration, the design team works together with the local hand crafters. 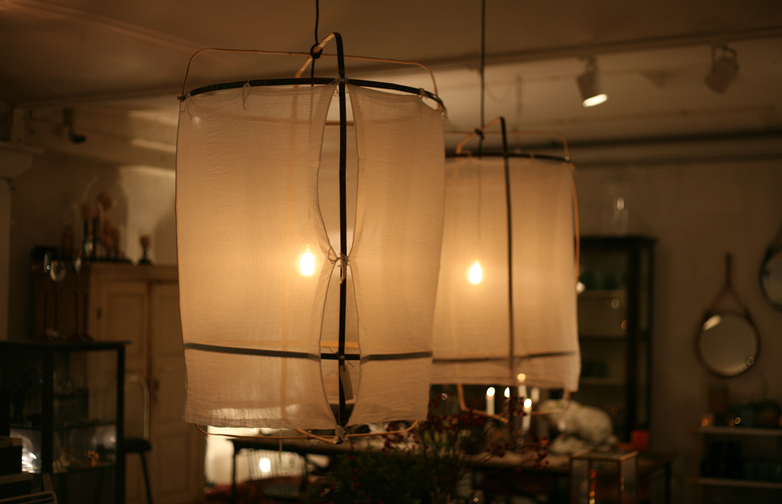 This allows them to get a deeper knowledge of the natural materials available, and the expertise of the handcraft. It is their way to discover the best solution in order to catch the unique beauty of different techniques. 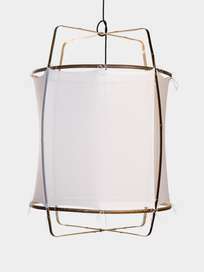 Z1 re-uesd cotton lamp from Dutch Ay Illuminate. 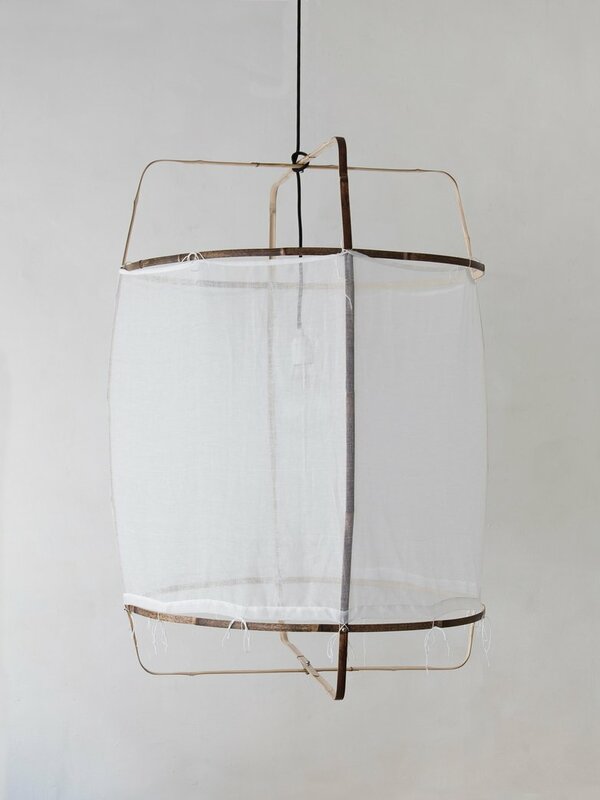 Made of dark bamboo with re-used cotton from Ethiopia that gives the lamp a floating illusion. Designed by Nelson Sepulveda and Mark Eden Schooley.